We produce 350,000 bottles of wine each year in our fully equipped wine cellar. The bottles are even filled in our own bottling line. We strongly believe in protecting our environment. That is why we recycle empty wine bottles and wash them in our own bottle washer (don’t forget to return your empty bottles). You are welcome to visit our wine cellar and taste our wines any time and any season of the year. Our plots of land are distributed in the whole domain of the Appellation Féchy. Our vines are planted in close and grassed rows. All treatment and maintenance processes are mechanized. Planting and pruning of the vines, thinning out of leaves and harvesting the grapes, however, is done exclusively by hand. In the „Appellation Féchy”, we have an ideal soil for wine making. The Chasselas grapes thrive particularly well here. 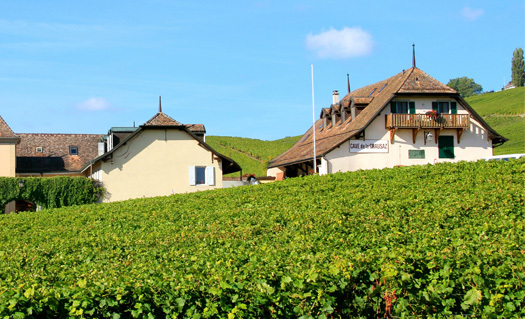 Our vineyard is perfectly oriented to the South and enjoys an unobstructed view of the Alps and Lake Geneva. Of course we always respect traditions and nature in all our working processes. The Bettems family has been living in Féchy since the beginning of the 17th century. With 12 generations, our family is one of the most long-established families of the village. 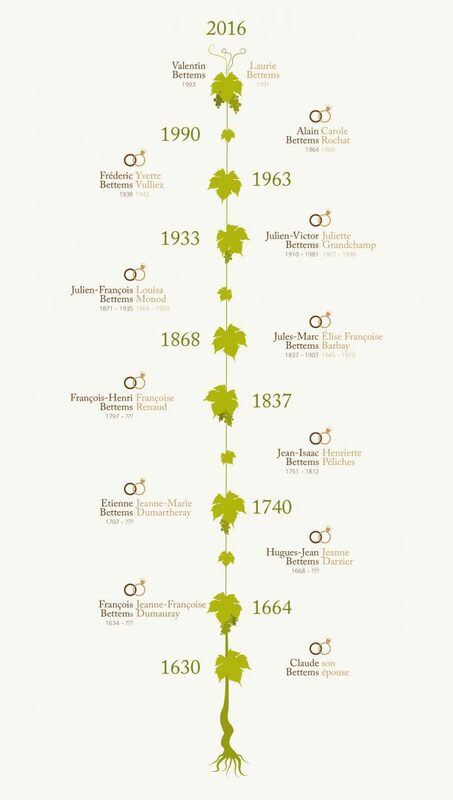 Since 1927, five generations of the Bettems family have been leading the enterprise. The limited company Bettems Frères S.A. was founded in 1952.